I recently reread this book to refresh my memory, since it had stood out to me from my first reading of it several years ago. This book is worth taking a look at a few reasons. For a start, the preponderance of Christian fiction written for today’s market is, in some form, romance. Even most of the Biblical-based fiction the authors tend to develop around a romance of invented characters worked into the backdrop of Biblical events, or imaginative fill-ins of characters from the Bible and their interactions with actual romantic partners. Authors of historical, Biblical romance often build the dramatic storyline around these romantic involvements. Although a romantic relationship is depicted in The Cross Gardener, the book itself is not a romance and does not follow the basic template for a romance novel. Another reason to look at this book involves that the majority of authors writing Christian fiction for today’s market are of the female persuasion, so almost any Christian fiction penned by a male author is worth a look. Finally, there is the author’s easy, readable style to recommend this book for those reading Christian fiction in particular and any inspirational fiction in general. The Cross Gardener is a novel about life and faith; particularly faith during a time of trial. We meet protagonist John Bevan in the midst of a life awash in tragedy and loss, which he actually seems to endure better than many might: until he experiences a bereavement the force of which stuns and debilitates him. As, over the months to follow, John expresses grief in his own way in part by visits to a roadside memorial, he meets and interacts with a mysterious stranger who will only identify himself as a “cross gardener.” This curious person, who appears to be about John’s own age, becomes essential in John’s journey to healing: including a journey back to an experience of faith. Author Jason Wright makes the Christianity organic to the storyline. The reader may not, in fact, realize until about halfway or so through the novel that this is Christian fiction, until the mysterious cross gardener first mentions “your Savior”. With the help of this mysterious stranger who John Bevan first meets by a roadside memorial, John begins to understand the world as a Christian community that encompasses even those on the other side of the experience of death. Though some may see it coming, the book does not reveal the true identity of the mysterious cross gardener until near the end of the novel. I remember experiencing that revelation during my first reading as a stunning moment of epiphany: and I felt a richness in the re-reading of the novel while “in the know” about the real identity of the mysterious stranger. 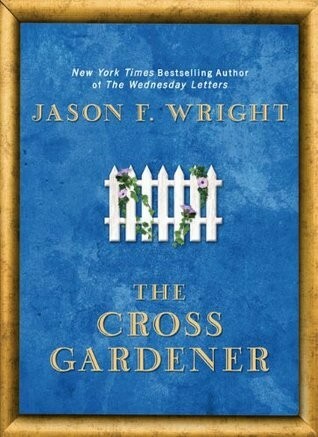 If you are looking for an enjoyable example of Christian fiction outside the romance genre, The Cross Gardener, by Jason Wright, is a good choice. Be the first to comment on "The Cross Gardener"